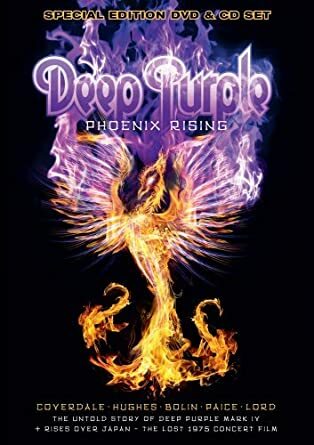 This is a documentary about the “untold” story of the Deep Purple lineup Mark IV: Ian Pace (drums), Jon Lord (keyboard), Tommy Bolin (guitar), Glenn Hughes (bass/vocals) and David Coverdale (vocals). It covers the turbulent last years of the band until they ultimately split during July of 1976. There are extensive new interviews with Jon Lord and Glenn Hughes. It is nice to hear their point-of-view on the band breaking up and finding new musicians to fill the open spots. Ian Gillian (vocals) and Roger Glover (bass) were out of the band, but the band carried on throughout all of the turmoil. Guitarist Ritchie Blackmore then left and they got Tommy Bolin, who helped create the “Come Taste The Band” album in 1975. When the band split up in 1976, Bolin was dead of a heroin overdose just a few months later. Archival interviews are also included with Bolin, Coverdale and Pace. If you are a fan of the entire catalog of Deep Purple, then this is a must have. It is not their most popular line-up, but it is quite entertaining to learn about the last years of this Deep Purple lineup. ← The Dixie Dregs return home in Augusta, GA on Friday, March 2!